Are you curious about Bitcoin? 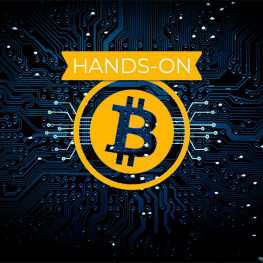 Do you want to get a firm grasp on what Bitcoin is all about? Are you looking for a quick, and easy way to understand the blockchain technology? Do you need to learn the key concepts and vocabulary around blockchain and Bitcoin? Want to enter the world of Bitcoin and Cryptocurrency, but feel overwhelmed by the technical details? This is your chance. Like The Internet did, Bitcoin & Blockchain technology is taking over the world. And it is here to stay! Don’t miss out on this amazing revolution! 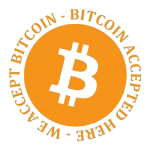 In its core, Bitcoin is the future of decentralized smart contracts and digital currency. In this class you will learn the basics of Bitcoin, how it will impact the economy, the history of Blockchain technology, it’s limitations, and much more. Join us for an easy to understand and a straight-forward course on Bitcoin and Blockchain technology. How to Buy Bitcoin AND Store Bitcoin Securely. Know how to explain to friends and family why they, too, should join the revolution! If you are thinking about investing in cryptocurrency and or you are a business that potentially wants to move to blockchain technology, join us. This hands-on, deep-dive will teach you everything you need to know to buy and secure bitcoin and other cryptocurrencies.